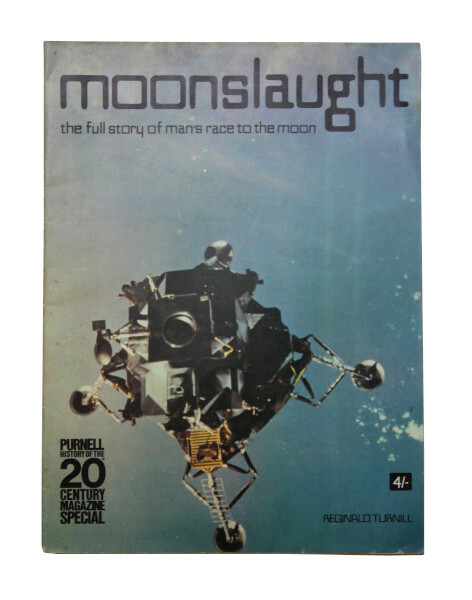 The Moonslaught magazine is part of Purnell’s History of the 20th Century. The series tells the story of the first 70 years of the century, bringing together a varied collection of historical images such as photographs, newspaper headlines and museum objects. It aims to explain how and why the world evolved to be as it was at the time of publication. This edition tells the full story of the race to the Moon and humanity's first decade in space. Its main purpose was to describe what the space race was about, how it began, where it had got to, and where it appeared to be going in 1969. It can be read as a narrative or used for reference. It contains black and white and colour photography as well as artists impressions and illustrations. The front cover is one of the first photographs of the lunar module in space during the Apollo 9 mission. 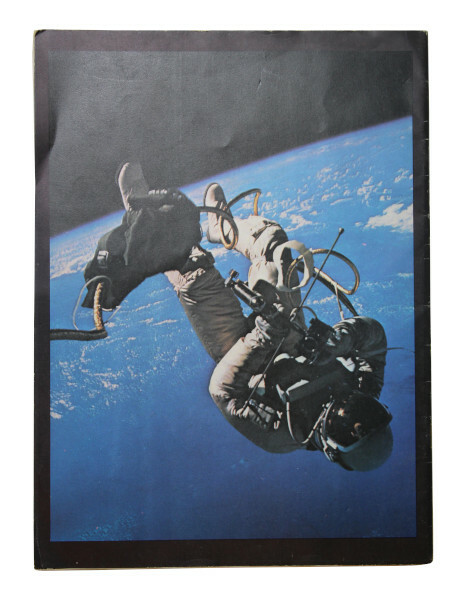 The photograph on the back is astronaut Ed White during the 21-minute spacewalk he made on the Gemini 4 mission. The magazine contains an introduction by Reginald Turnill, who was the Air and Defence Correspondent for the BBC. 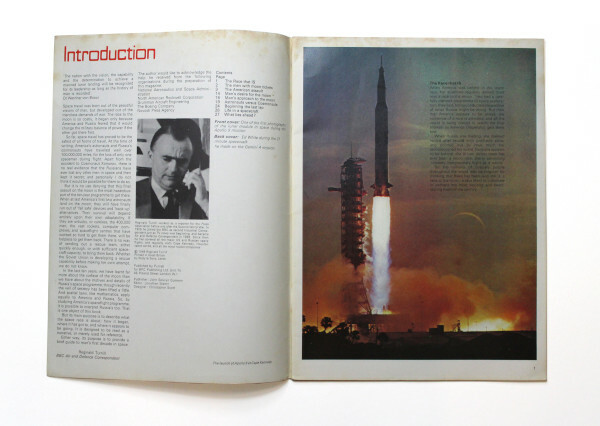 On the last page it includes a section about the British contribution to the Apollo programme. It gives details of key individuals such as Francis Bacon, a British engineer who invented the fuel cells which powered the Apollo spacecraft.